Good morning, Monday. Had a lovely breakfast with an old friend and now back at it, trying to get in the groove. Good weekend spent doing New Yorky things like museums, walks, and brunch with friends. All good. Now on with the work week. So the couture shows in Paris. Blah blah blah, right? 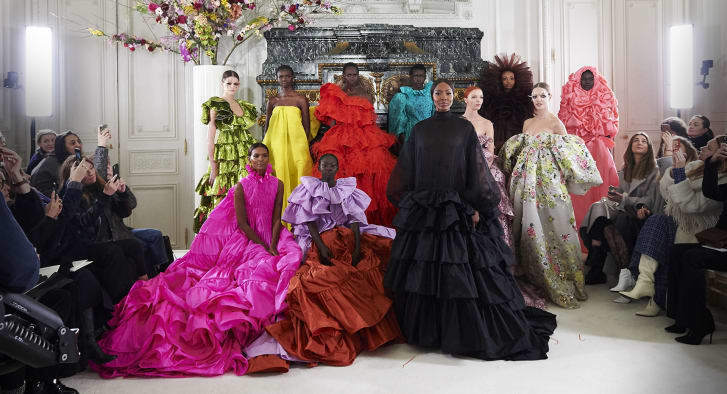 I mean- as a fashion nerd I can't help but gawk at them, and that Valentino show was surely one for the fashion books. See image below. It was transcendent and beautiful and absolutely over the top in the best of ways. Dreamy clothes for the .000000001 percent. And as a (not so) casual observer, I couldn't help but note the explosion of tulle all over the couture runways last week. It was the 80s all over again with frothy, fluffy confectionary dresses that could make your teeth hurt, as well as you wallet. Love the Viktor & Rolf wink at the top of this post. Clothes with a sense of humor always make me smile. 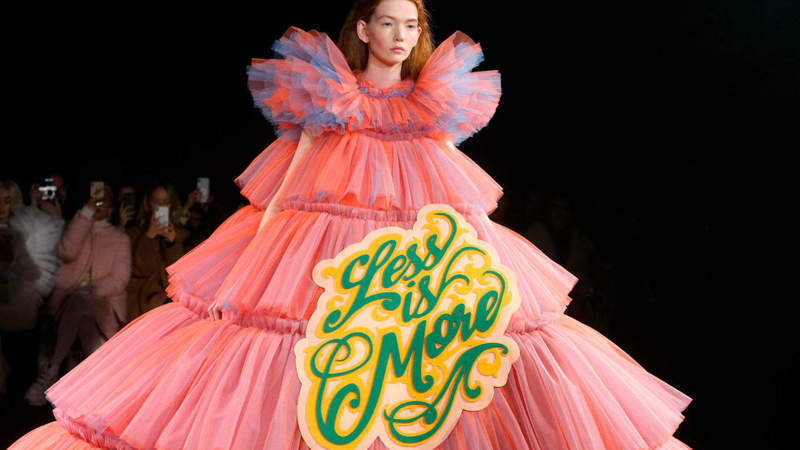 And as a thoroughly modern type, I don't love a fussy dress. It does not work on me at all. But I do love that girly girl looks are everywhere, as are more modern silhouettes. Case in point at last night's SAG Awards. Two of my favorite looks felt very different in tone, but both so gorgeous. 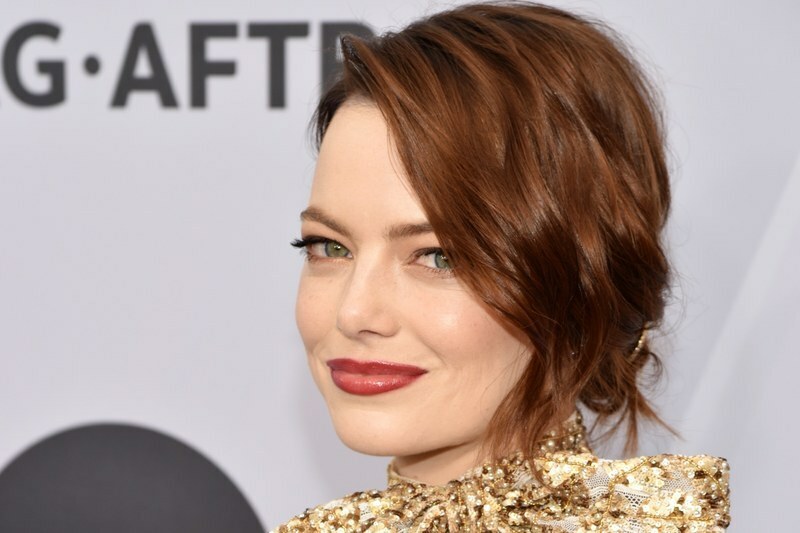 I always adore everything Emma Stone does on the red carpet. This look from Louis Vuitton was just the end. Modern, formal, and altogether perfect. 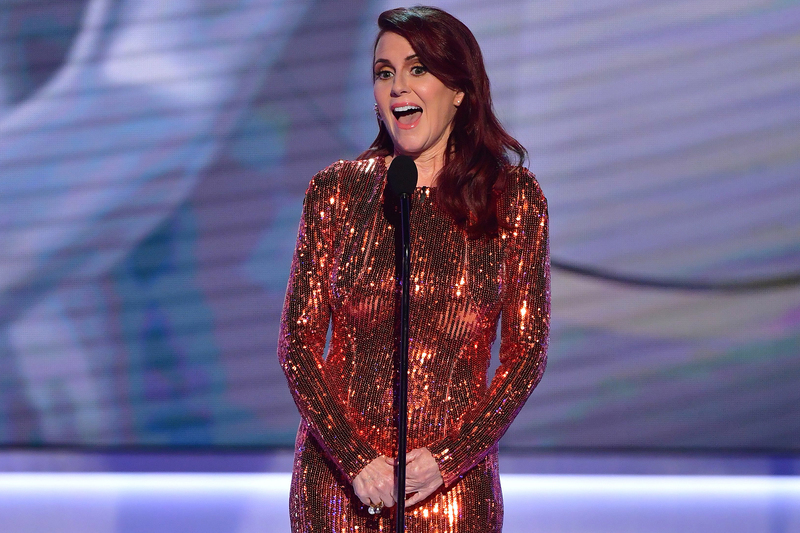 And loving the darker red hair color- Megan Mullally sported a dark red do too and I very much approve. On the other side of the spectrum was the marvelous Rachel Brosnahan, whose ice grey/blue Dior gown was so traditional, yet updated and modern but super feminine all at once. So stunning- the makeup, the hair, the earrings. I died. She really wears a dress so beautifully. So regardless of which way you swing when it comes to style, there's something for you. And there's not one influence or one silhouette or one reference that we all want to emulate or copy. Instead, be girly. Be a bit more masculine. Be whatever you want to be. 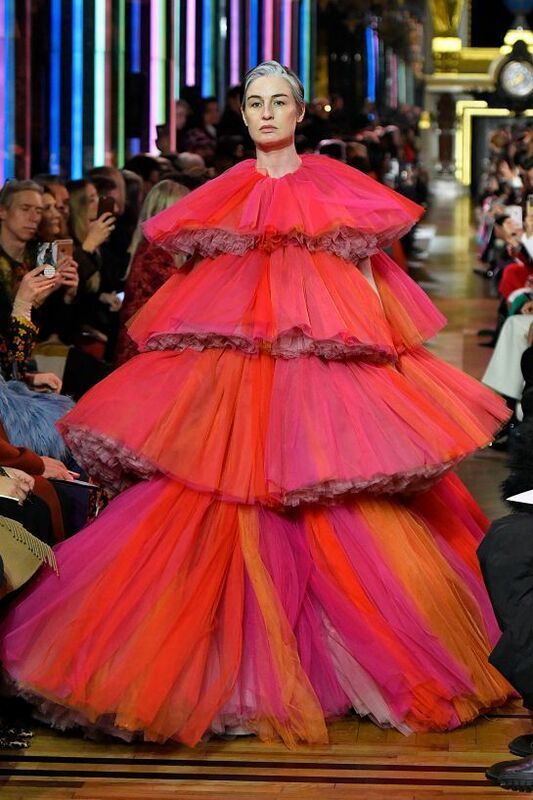 As fashion becomes more democratic by the hour, there's as much a place for couture powder puffs as there is for boiler suits. I like this. I like it a lot. Today I passed by Wildfang on my way back from breakfast and admired the very androgynous pink jumpsuit in the window. I love that the very definition of female dress has caught up to the times. Well played.